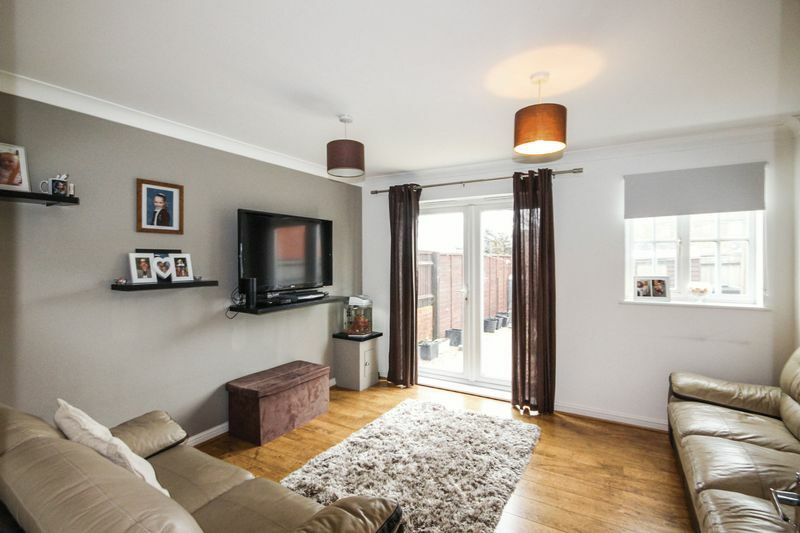 A two bedroom terraced home situated on the ever popular Butterfield Down development. 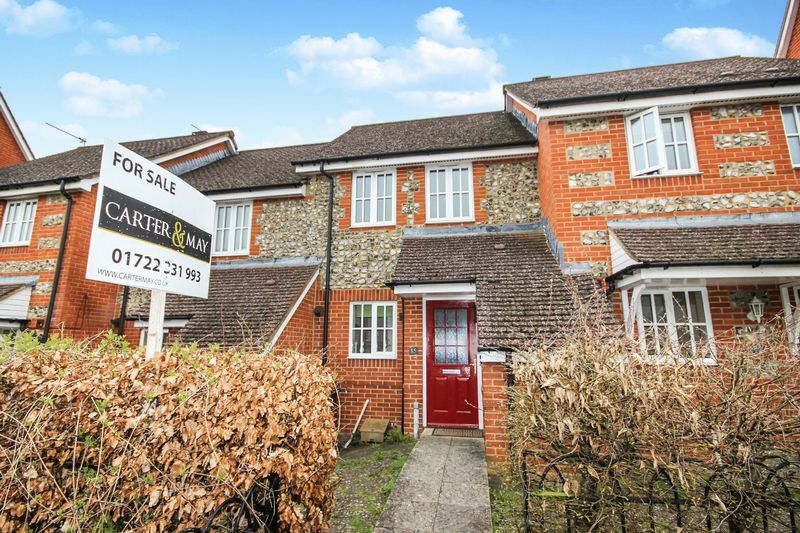 The property is presented in excellent order throughout and features a new kitchen, spacious living room with French doors to the rear garden, bathroom and allocated off road parking. A recently fitted kitchen with matching wall and base level units, double glazed window to the front, roll top work surfaces, stainless steel one and a half bowl sink drainer, splash back tiling, electric oven with four ring gas hob over and a stainless steel extractor fan above, plumbing for a washing machine, space for a fridge freezer and wall hung central heating boiler. White suite comprising of low level WC, wash hand basin and tiling to splash prone areas; wooden effect flooring, radiator and fuse box. 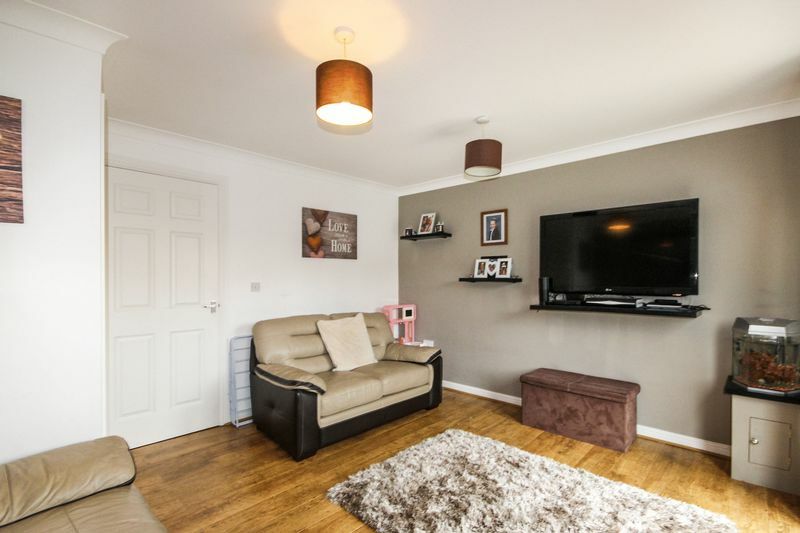 Double glazed window to rear aspect, double glazed French doors to rear garden, under stairs storage cupboards with carpet and light, television point, telephone point, wooden effect flooring, two radiators and coved ceilings. 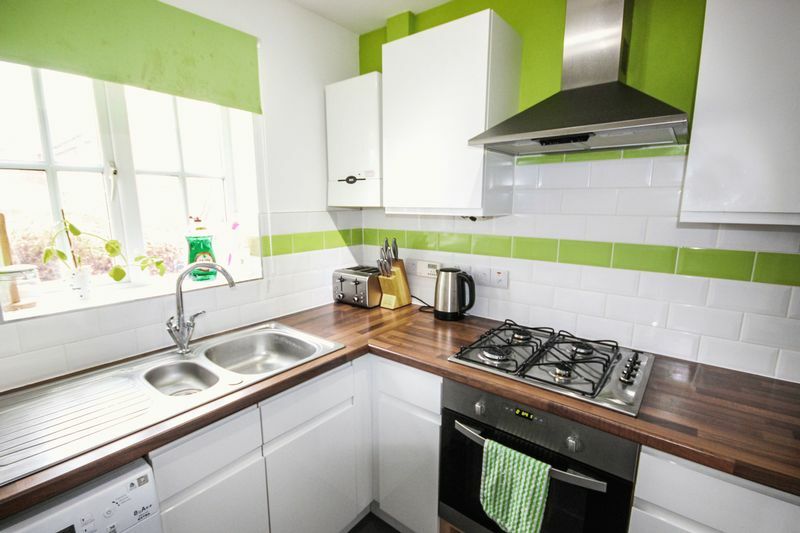 Two double glazed windows to front aspect, double and single built in wardrobes, television point, telephone point, radiator and fitted carpet. 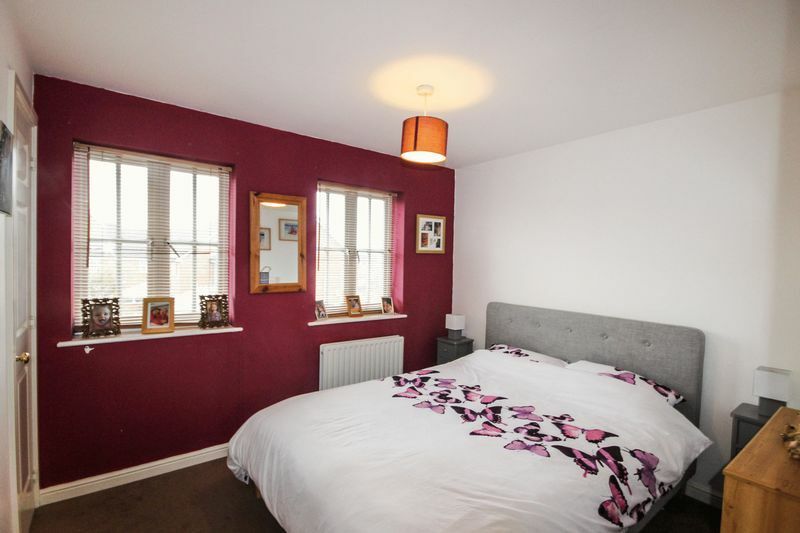 Double glazed window to rear aspect, radiator, built in wardrobes and fitted carpet. 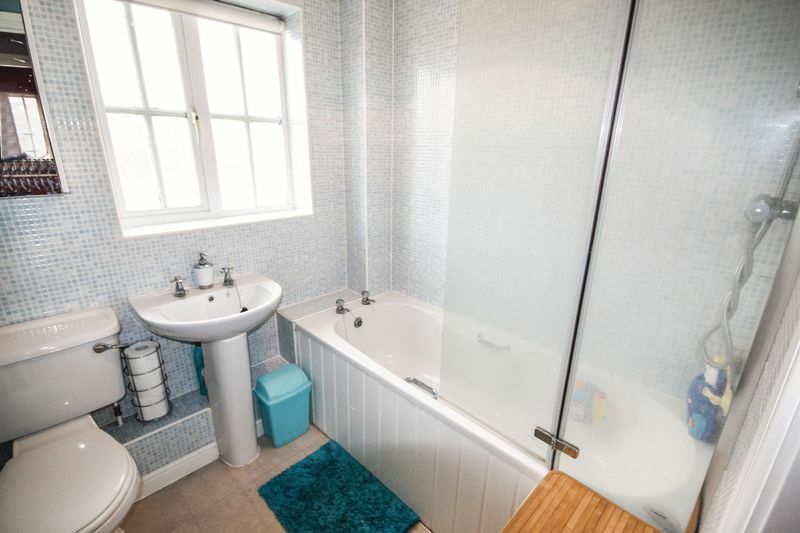 Double glazed window to rear aspect, white bathroom suite comprising paneled bath with wall mounted shower over, pedestal wash hand basin and low level WC; part tiling to splash prone areas, shaving point with light and extractor fan. There is a paved front garden with pathway leading to the front door and outside storage cupboard. 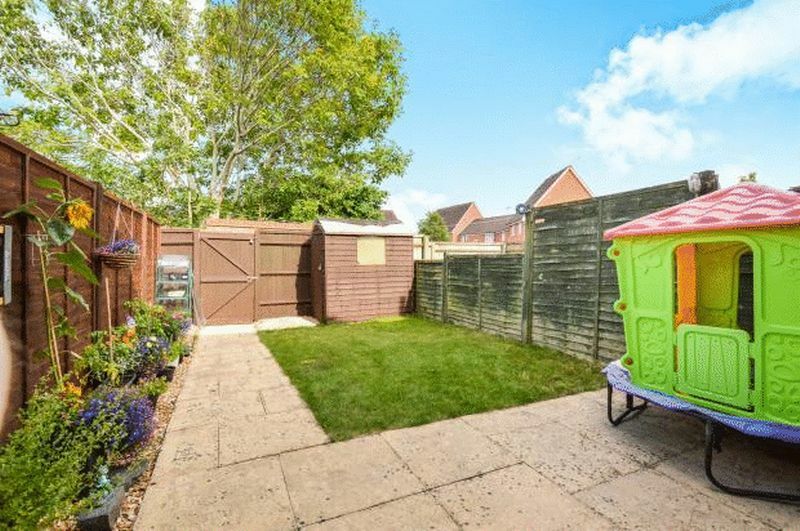 To the rear of the property is an enclosed rear garden which is mostly laid to lawn with rear access leading to the allocated parking space. From Amesbury High Street continue to the traffic lights and turn right. Follow this road to the roundabout and turn left into Earls Court Road. Follow this road for approximately half a mile to the top of Boscombe Road and at the next roundabout take the first turning left and follow this road to a second roundabout. Take the first exit left into Butterfield Drive and the next available right into Pointers Way. Continue to the end of Pointers Way and the property can be found straight in front and is numbered accordingly.